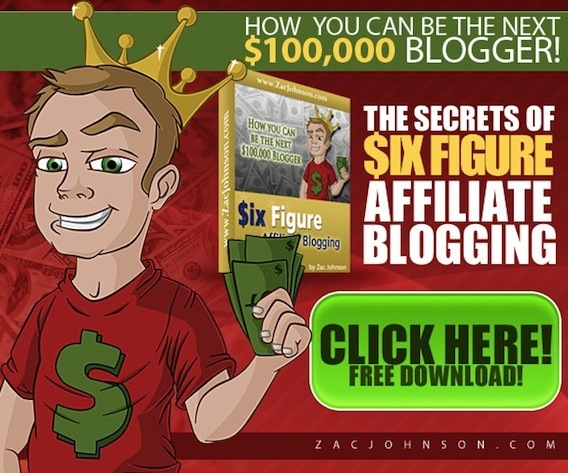 My fellow blogroll buddy Zac Johnson sent me an e-mail yesterday letting me know that he just released his first eBook, called Six Figure Affiliate Blogging. I’ve known Zac for several years now and actually had the privilege of meeting him in person a couple years back. Zac runs a fantastic blog and somehow manages to consistently publish high-quality posts. If I had to describe Zac with only one word, it’d definitely be: consistent. His brand new eBook, which was just released today, is a 97-page manual on how to build, grow, and profit from a blog. I just finished a “thorough skim” of his book and can tell you that just like his blog, it’s full of high quality content. Why should you listen to Zac? Well Zac now makes over $100,000 a year from just his blog alone. 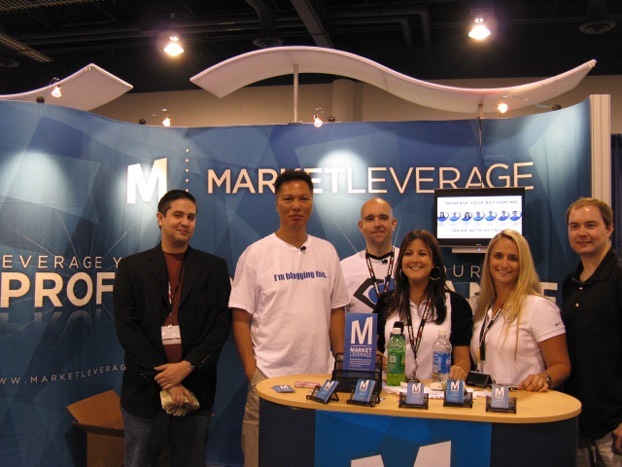 The best part is that his eBook Six Figure Affiliate Blogging is completely free, with no strings attached. Well, unless you count entering your name and e-mail to receive the eBook a string, which you shouldn’t, considering you can always opt-out of his AWeber list at anytime anyway. Six Figure Affiliate Blogging is a solid eBook and is a great resource for anyone looking to make money blogging. I picked up this book through a link on John Chow’s website. I would have to say that it is quite good. I would love to have the opportunity to make 6 figures a year by blogging. It would be like a dream come true. I think that Zac new ebook can probably help me accomplish that goal. Thanks for sharing. Zac is a good guy. I’m sure he provides a lot of good tips in his ebook. I’d rather download this for free than waste money on something like the junk Shoemoney System. I just read about it from ZK’s blog and I see it here again. 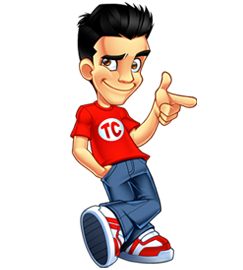 I’ve been reading Zac Johnson’s blog for quite some times and I have to say that he is really an affiliate expert. I’ve downloaded the ebook but don’t have time to read it yet, I’m sure that must be a great book! Zac is certainly a gem to the affiliate and blog world. Thats why all people are talking about him and his crowned cartoon is really familiar everywhere. Another great output from the King Zac Johnson. great ebook from Zac…it’s surely gonna help a lot of newbie who are planning to start affiliate marketing. I’ll have to check this book out. Thanks for the review. Always willing to learn more about blogging! Thanks for the heads up Tyler, grabbing the freebie now! Zac is a nice giy & a good blogger.He should be able to provide some great tips in his book. nice ebook must read it. I know zac johnson is a nice man with a very nice blog. just downloading it now. Seems like a great ebook, just dowloaded it.